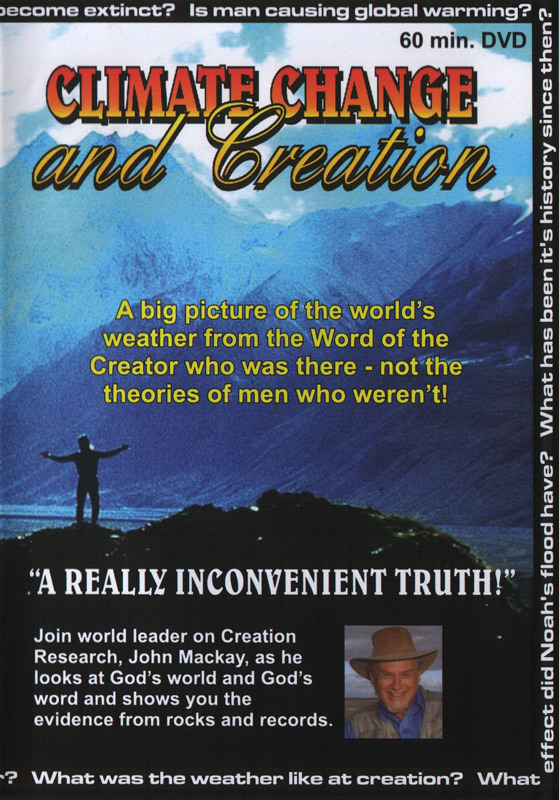 Join John Mackay as he looks at the big picture of the world’s weather from the Word of the Creator who was there – not the theories of men who weren’t! What does Islam say about global warming? Is man causing global warming? Is it global warming, climate change, or tax revenue? What was the weather like at creation? What has been its history since then? What effect did Noah’s flood have? What role does God have in weather? Does the Bible speak about future global warming? Does it matter if Polar Bears become extinct? A big picture of the world’s weather from the Word of the Creator who was there – not the theories of men who weren’t! Join world leader on Creation Research, John Mackay, as he looks at God’s world and God’s word and shows you the evidence from rocks and records.